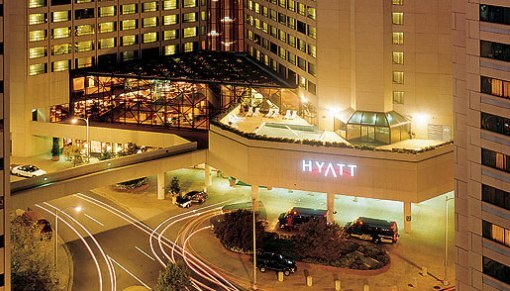 The 41st Annual World Chess Open will be held from June 29-July 7, 2013, at the Hyatt Regency Crystal City, 2799 Jefferson Davis Highway, Arlington, Virginia. The event has a $250,000 prize fund based on 1180 paid entries, with $175,000 guaranteed. The event has 9 sections: Open, Under 2400, Under 2200, Under 2000, Under 1800, Under 1600, Under 1400, Adult Under 1200 and Under 900. The Open Section will have three schedules, 7-day (July 1-7), 5-day (July 3-7) and 2-weekends (June 29-30 and July 5-7). Open Section: $20000-10000-5000-2500-1200-1000-800-700-600-500, clear winner bonus $300, top FIDE Under 2500 $2000-1000, top Senior 65/over $1000. If tie for first, top 2 on tiebreak play speed game by 11:30 pm 7/7 for title & bonus prize. GM & IM norms possible. FIDE rated. Under 2400/Unr Section: $13000-7000-3000-1500-1000-900-800-700-600-500, top Under 2300/Unr $2000-1000, top Senior 65/over $800. FIDE rated. Under 2200/Unr Section: $13000-7000-3000-1500-1000-900-800-700-600-500, top Under 2100 (no unr) $2000-1000, top Senior 65/over $800. FIDE rated. Under 2000/Unr Section: $13000-7000-3000-1500-1000-900-800-700-600-500, top Under 1900 (no unr) $2000-1000, top Senior 65/over $800. Under 1800/Unr Section: $13000-7000-3000-1500-1000-900-800-700-600-500, top Under 1700 (no unr) $2000-1000, top Senior 65/over $800. Under 1600/Unr Section: $11000-6000-3000-1500-1000-900-800-700-600-500, top Under 1500 (no unr) $2000-1000, top Senior 65/over $800. Under 1400/Unr Section: $8000-4000-2000-1200-1000-800-700-600-500-400, top Under 1300 (no unr) $1600-800, top Senior 65/over $800. Under 1200/Unr Section: $5000-2500-1200-1000-900-800-700-600-500-400, top Under 1000 (no Unr) $1200-600, top Senior 65/over $600. Under 900/Unr Section: $1000-700-500-400-300-300-300, trophies to first 10, top Under 700, Under 500, Under 300, Unrated. The same venue hosted the 3rd Annual Continental Class Championships last October.